On January 18th, Kentucky Youth Career Center went on a field trip to Frankfort for Children’s Advocacy Day. 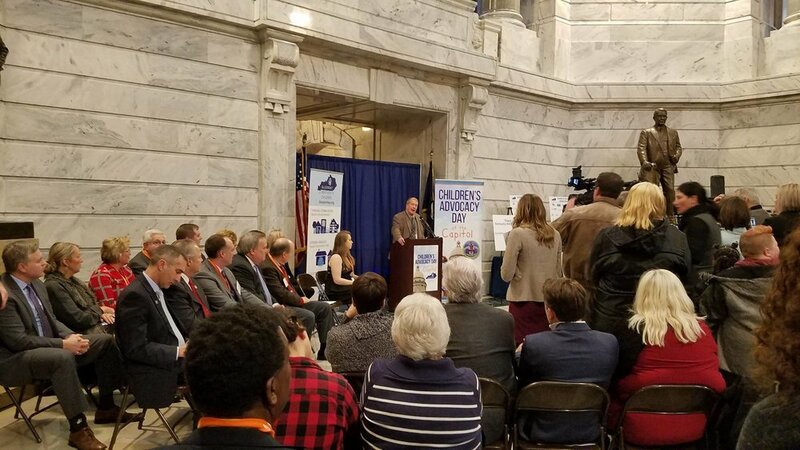 Every year, Kentucky Youth Advocates has a Rally for Kentucky kids to thank legislators who have gone the extra distance for kids and remind our representatives to make children a priority. We went on a tour of the Capitol, visited the Senate and Legislature chambers, and learned about the symbols throughout the capitol building. In the afternoon, our young people were able to meet and share their stories with other youth advocates from around the state. We also visited the House of Representatives in session and saw local Representative Attica Scott hard at work.